The decision of Kenya’s Supreme Court to annul the re-election of outgoing president Uhuru Kenyatta and order a rerun “does honour to Africa”, African Union chief Alpha Conde said Monday. 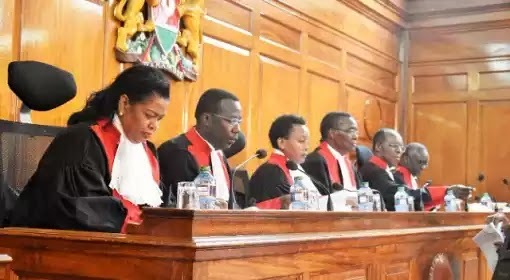 The groundbreaking ruling on Friday annulling the August 8 presidential election was a first on the continent, where elections have often been tainted by intimidation and fraud. “This is behaviour that does honour to Africa and proves that democracy is now installed on the continent,” Conde said. The African Union “appreciates the spirit of maturity and responsibility shown by all parties to the process, who preferred legal channels to violence,” added Conde, who is also president of Guinea. “Africa will be what we want it to be,” he said. Veteran Kenyan opposition leader Raila Odinga, who challenged the result in court, hailed the “historic” ruling. Kenyatta accepted it but railed at the judiciary and refused opposition demands to replace the electoral commission, widely seen as tarnished. When the poll body declared Kenyatta victorious with 54.27 percent of the votes, protests and riots broke out and were harshly put down by police, claiming at least 21 lives. Citing serious irregularities in the electronic transmission of results, the court declared Kenyatta’s victory “invalid, null and void.” The judges ordered a rerun to take place before October 31.